The afternoon of May 19th, 1864, General Lee ordered Ewell to probe the right of the Federal front line to determine their location. Ewell assumed that they were still in front of him, but they were not. Ewell decided not to try an attack on the well-entrenched Federal works in front of him. He was given permission to move, ending up northeast of their current location (Matter 317). Confederate cavalry were sent out ahead and was spotted by the Federals near Harris Farm. Army headquarters was immediately notified, and General Tyler’s five regiments were sent northwest from their position toward Fredericksburg Road; they arrived near the Harris house mid-afternoon (Matter 321). Ewell’s troops moved towards Harris farm where the Federal Fourth Division was occupying the area. Federal and Confederate troops collided and the untested and green former artillery soldiers on the Federal side were no match for the veterans of the Confederate infantry. “The 1st Massachusetts and 1st Main Heavy Artillery regiments fought as if they were on the drill field” (Gallagher 193). 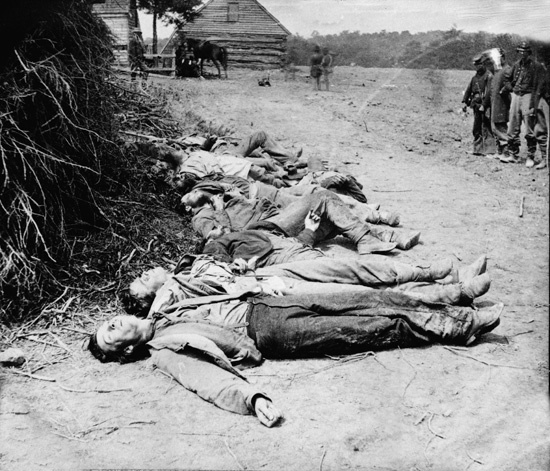 The unbalanced fight led to more casualties on the Federal side as the Confederates easily shot down the inexperienced artillery men. During the battle Ewell’s horse was shot out from underneath him, and when he fell he was given such a jolt that for the rest of the battle he could not think clearly, which could have been one factor leading to the stalemate that came as darkness approached (Cannan 187). After the sun set Ewell realized victory could not be won, and his troops retreated from the line. 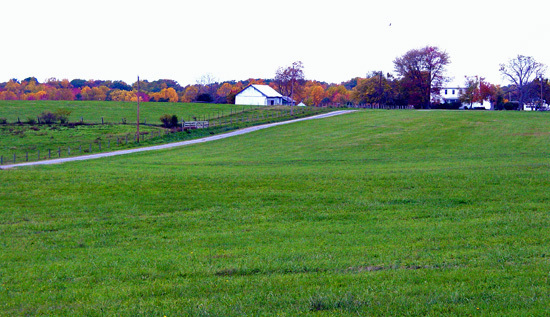 “Harris Farm,” National Park Service, nercms.nps.gov (accessed April 17, 2008). Cannan, John. The Spotsylvania Campaign. Conshohocken, PA: Combined Books, 1997. National Park Service. “History of Wilderness and Spotsylvania.” http://www.nps.gov/frsp/wildspot.htm (accessed April 19, 2008).